Banking and Government sector exams are among the most popular career options in India. These exams are highly competitive in nature as every year lakhs of candidates compete for a limited number of vacancies. To beat the stiff competition that these exams are famous for, Career Desk (A Division of Balark Education Services LLP)has been helping aspirants since its establishment in 2011. The institution provides the right guidance at the right time,enablingthe students of Career Desk grab an optimum number of seats in the concerned examinations annually. 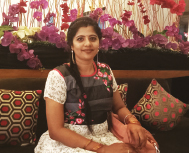 "Banks and Government sector jobs are considered to be a dependable and respected option, for which yearly numerous aspirants appear for these exams.We in the process make their journey smoother than it supposes to be," says Sumalatha, Director, Career Desk. The institution offers to coach in courses likeBank (PO/Clerk/Specialist Officer) Exams, RBI exams, Staff Selection Commission (SSC) Exams, UPSC (IAS/IPS/Defense Services) exams, MPSC and IBPS, including campus recruitment training. Career Desk always strives to limit their batch number within 15 students, so that every individual receives ample attention and the chance to clarify their doubts in the class itself. "We counsel each and every aspirant coming to our premises and assist them in choosing the apt programme according to their interests. This provides a surety to the students of being on the right track," shares Sumalatha. Understanding the importance of study materials for the students, Career desk has prepared its own contents after a detailed research by the training faculty members who are qualified and well experienced in preparing students for such exams. The contents are crisp and to-the-point, which reduces the hard works and inputs of the students and encourage them to study in a smart manner. "Apart from the course contents, we dedicated enough time and effort to compose a document of current affairs, followed by mailing those to our students on a monthly basis," opines Sumalatha. Moreover, the libraries in the centers are equipped with the hard copy of the magazines like Competitive Success Review, IBPS chronicle and so on. By conducting classroom classes in three centers inNavi Mumbai, Career Desk also offers online classes to students who are not capable of pursuing the courses physically. Whether it is online or offline, the only thing that the institution is known for is their quality coaching and its quality services they offer to the students. "We believe that the qualified unemployed candidates residing in the secondary cities are deprived of quality counseling and therefore we envision setting up more centers in those areas in coming years," adds Sumalatha. In addition to that, Career Desk as an overseas education advisor offers detailed assistance to Indian students who are keen on pursuing their education abroad. "We are linked to a number of world famous universities offering a range of courses to Indian students. We hand-hold the entire admission process from counseling, shot-listing of University program, application, financial assistance, visa, accommodation, Travel & Insurance assistance and so on," explains Sumalatha. Indeed, Career Desk has emerged as a one-point destination for all the career needs of a student. "We hold the entry passes to the best avenues of success," summarizes Sumalatha.